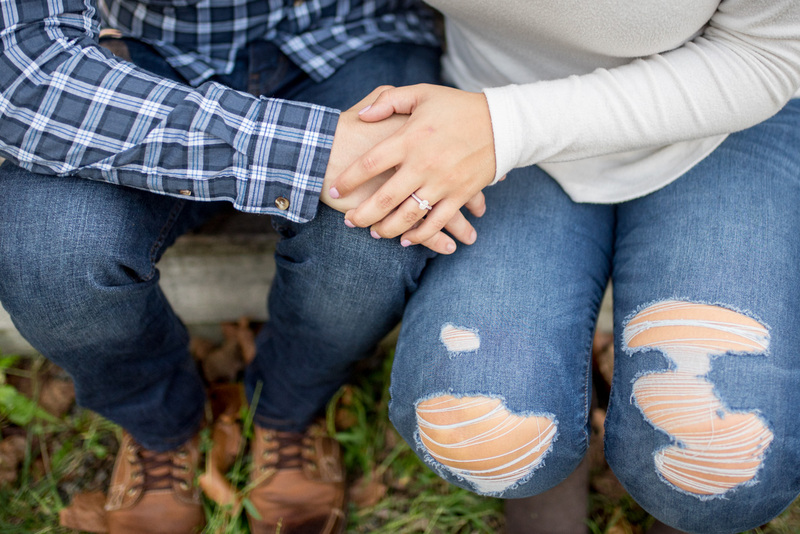 Have I ever said how much I love doing engagement photos? 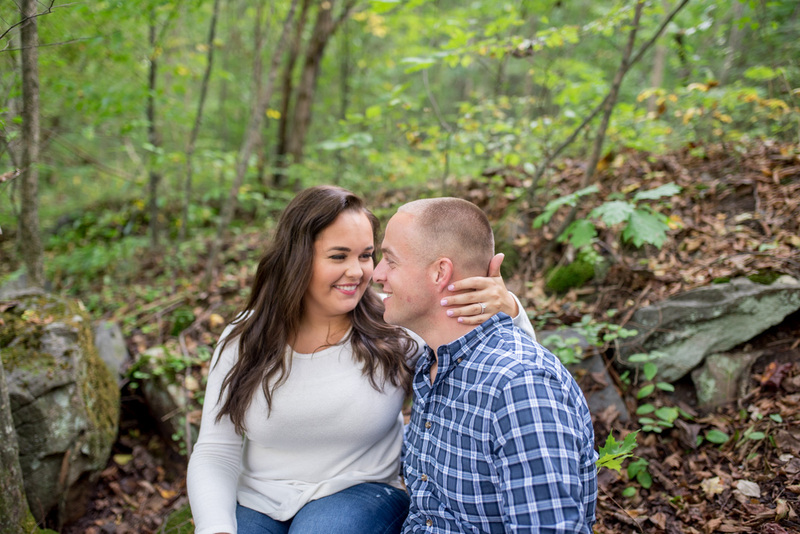 And this Saint Peters Village Engagement session is no exception! 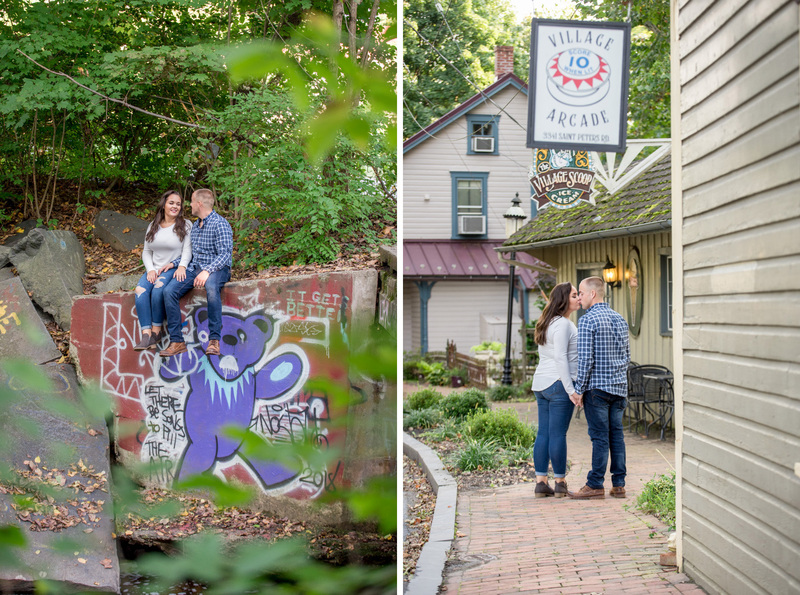 Saint Petes is a super cute little village located in Chester County, PA. It’s nestled among many acres of quiet forest. 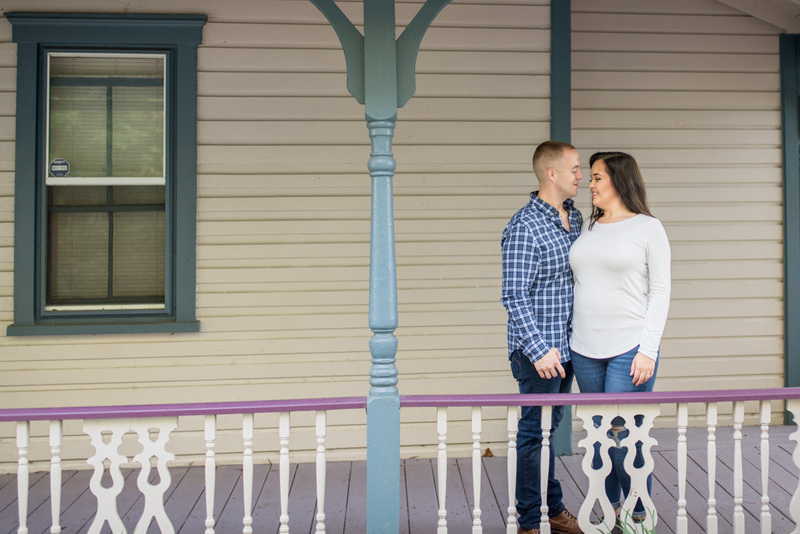 This historic community of Saint Peters Village is so small, you could miss it driving past. And forget about having cell service there because you won’t. Try your best not to get lost because your GPS won’t save you! Strolling through town is a glimpse of what life was like 100 years ago because not much has changed since then – or so it’s written about it’s history. With a bakery, an inn, a vintage arcade and antique stores there’s plenty to explore. It’s a shame that they’re shops are pretty much only open on weekends and even during the week most everything is closed by 5. So when Marissa and Edward and I walked around town we almost had the place to ourselves. 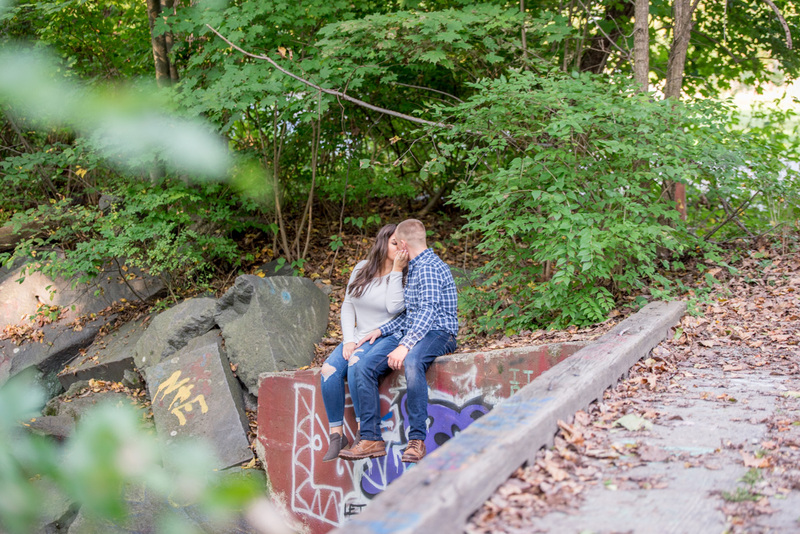 I dreamed of taking them into the arcade there when I suggested Saint Peters Village as our engagement session spot. But unfortunately I’ll have to go back on a weekend day when it’s open. 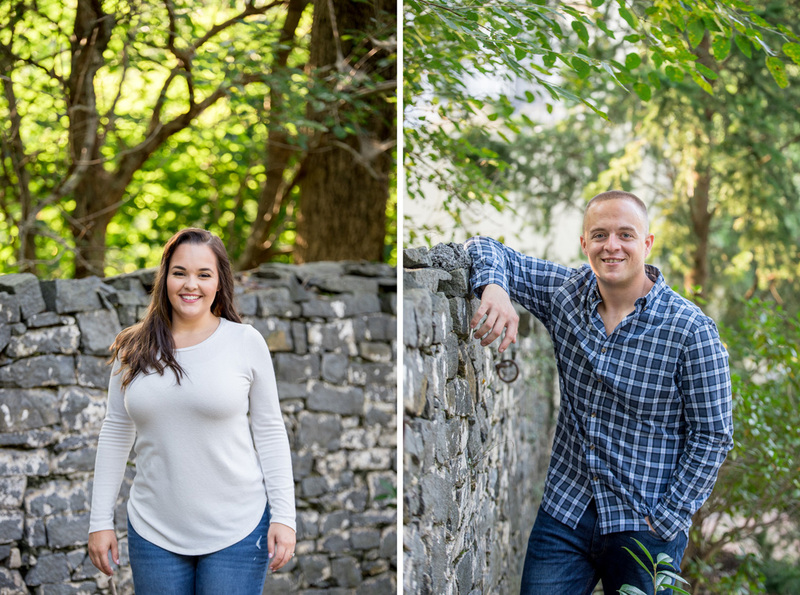 There are still so many cool background like stone walls and vibrantly painted porches to take photos against. 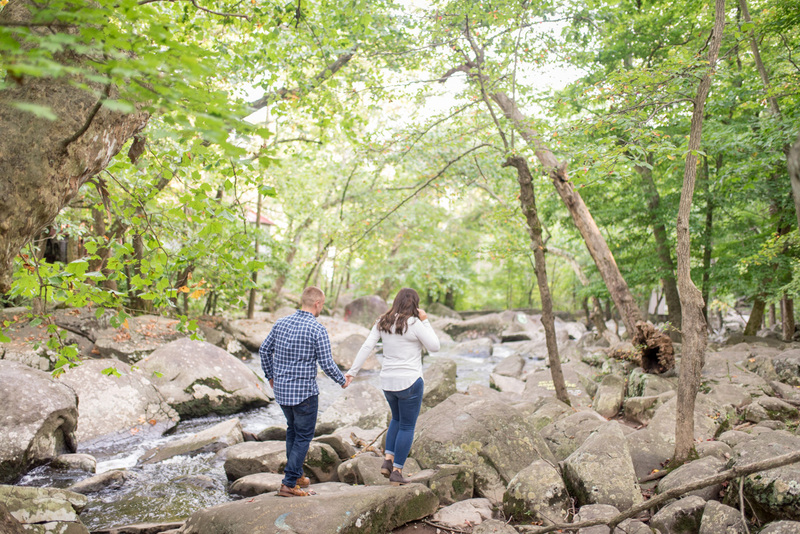 We also had a ton of fun exploring just a little bit into the paths and on the giant stones along French Creek. 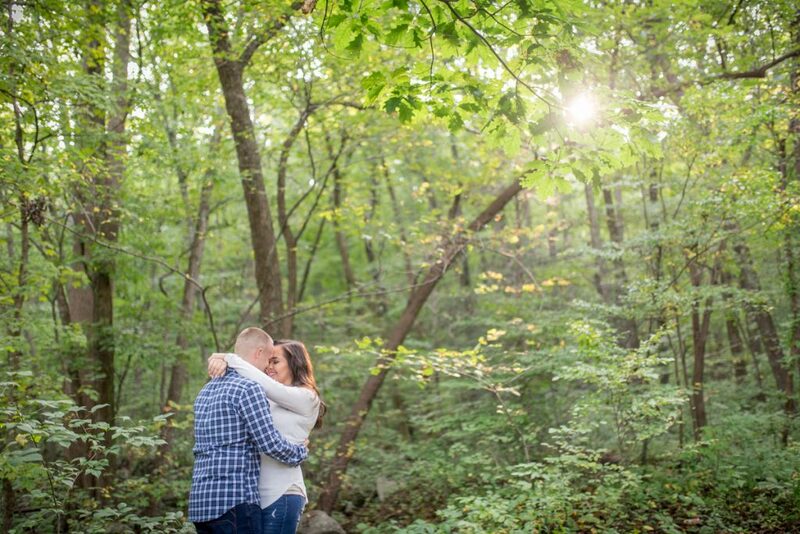 These two were totally up for anything! Climb on the rocks, sure! Dangle your legs over this bridge, totally! Climb on this rock cliff, YUP! Ok this last one made me a little nervous but Edward really protected his future wife and made sure she didn’t fall. 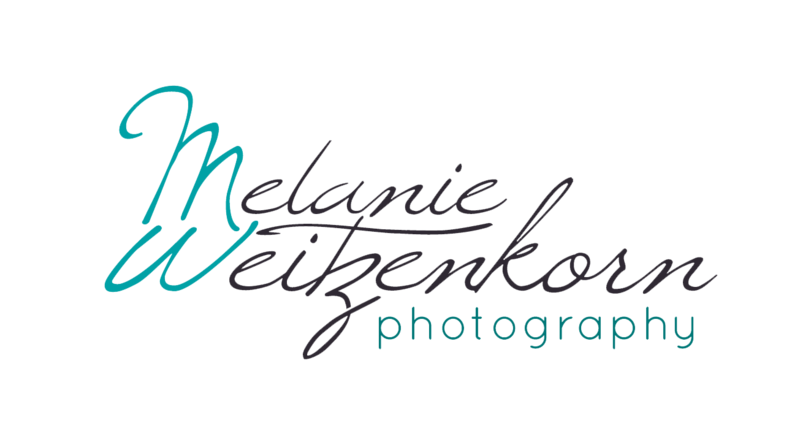 And it was so worth it for these awesome photos! 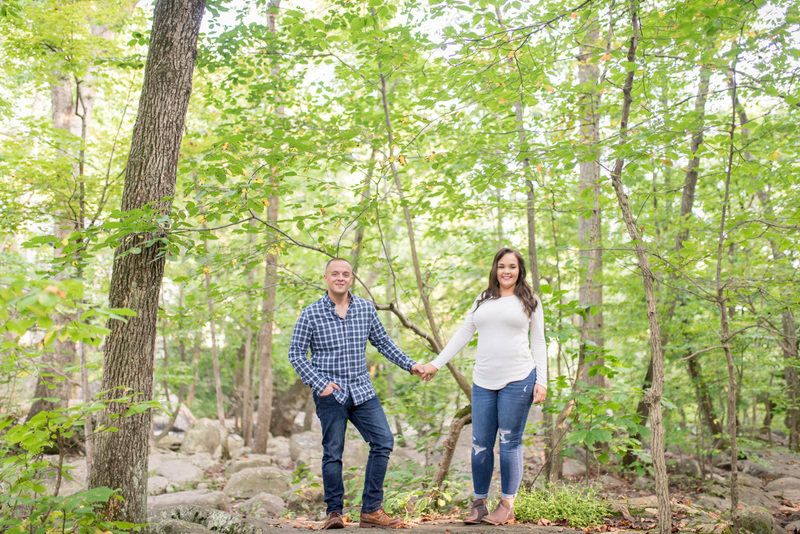 This entry was posted in Engagement photography and tagged chester county PA, Elverson PA, engagement photos, hiking, saint peters village, st peters village, woods. 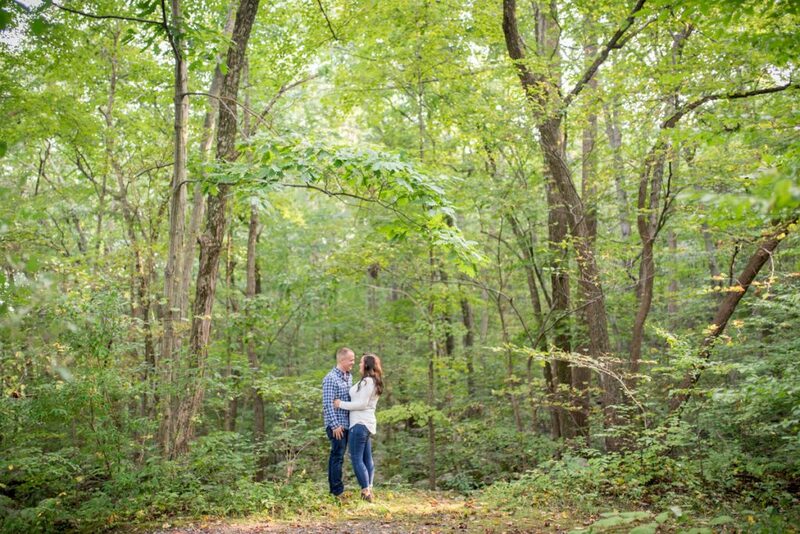 Loving Saint Peters Village for this engagement session! Great spot even if you were dreaming of an arcade 🙂 Worked out for everyone at this PA location!